Sugar is a sneaky culprit that can sneak into your food even when you think you are being cautious. We are practically inundated with sugar from every direction. Find out 4 easy ways to avoid eating too much! 1. Know the many name for sugar. It is a lot easier to avoid something when you know the plethora of names that it can hide behind. Check out the 50+ names here! 2. 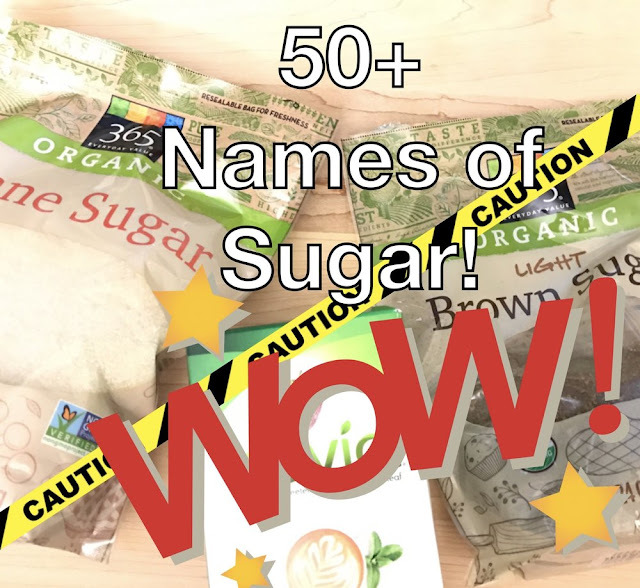 Now that you have a list of sugar's names be sure to read labels when grocery shopping. The above list will help you avoid hidden sugar. You will be surprised just how challenging it can be to avoid it in most grocery store items. 3. Know how much sugar is recommended to consume each day. For healthy adults, The American Heart Association recommends for men 150 calories (or 37.5 grams or 9 teaspoons) & women 100 calories (25 grams or 6 teaspoons). 4. Eat less processed food. Eat more fresh and organic food. Eating more food that did not arrive in a box will dramatically reduce your sugar intake. Fruit is high in sugar so limit it to the 2 cups per day recommended by the USDA. Also dining at home instead of a restaurant will also cut the sugar. Great tips indeed, I was just thinking the the other day that I need to reduce my sugar intake! @Nelly Thank you! Glad it is helpful!